Four years ago, I discovered that the only thing that kept my interest for more than 48 hours was providing business solutions that were ridiculously simple yet totally effective in increasing profit margins. This was in no way related to the phrase ‘the place of the woman is in the kitchen’ that was constantly poured as hot coal tar into my orifices with the hope that it would melt aspirations and solidify to societal conformations. Well, it didn’t and after these past years, I can say one thing for sure; the place of the AFRICAN woman is definitely not the kitchen. It is in adding her quota to humanity at every level she finds herself. Tutu gets married to Yulu. Yulu can afford the basics. This definition of success for the African Woman is ridiculously limited and expressly determined by the eternal patriarchal system and cultural climate that has been dutifully instilled by society and recycled over hundreds of years least she be ostracized for having any other definition. One may add that this definition defies the law of purpose. Josephine M. Kiamba in her paper “Women and Leadership Positions: Social and Cultural Barrier to success” http://appweb.cortland.edu/ojs/index.php/Wagadu/article/viewArticle/352/668 points out that culture and cultural expectations tightly holds the reins to aspiration of leadership positions in both private and public sector of the government while noting that the African woman pays a higher price in finding a niche where she can productively apply self for the benefit of mankind. This is because the ‘preparatory work’ involved as an African woman in following a vision is much more difficult than a man’s who is generally accepted by all as having the exclusive right to public life. 1. How much are these “inalienable” privileges worth in the face of finding purpose and contribution to societal development? 2. How does these “privileges” undo or cushion the lifelong damaging effect of the inferior complex imposed on the African Woman? Clearly, an African woman that aspires to be a success story is labeled and tagged as loose and unfit by the same society she sets out to better especially in areas of politics, business and entertainment. Many say that a woman in politics must have graced the beds of political godfathers and a woman who drives a good car must be a mistress of a ‘big man’. What happens to hard work and the reward that comes with it? I dare not ask. “Despite efforts made to ensure that female representation is achieved at all levels, women are still underrepresented in many government and non-government organizations particularly in position of power and leadership” De la Rey, 2005. This comes on the heels of cultural stamp of subordination, the imbibed servant hood mentality via upbringing and the societal limitation and roadblocks at every turn from birth to death. In Yoruba culture and other tribes across Africa, a two day old baby boy is superior to a female regardless of age. Inheritance is right only meant for the male child. A woman can be inherited. Proverbs portray woman as less important and an immoral entity. A man is allowed, encouraged and hailed to have mistresses and extra wives. A widower is hardly accused of killing his wife and can remarry in weeks while a widow is the killer in almost every situation and must stay at least a year before thinking of the possibility of remarrying. Western Education is good only for male children attributable to the fact that a woman is seen as property and beast of burden at the mercy of the pleasure of the husband. The man has the right to public life. This brings to mind the adage that says “call a man a goat long enough and he will truly bleat”. The African Woman is met with stringent obstacles in penetrating the already unenabling environment for local companies and entrepreneurship as well as in political circles. The socio-economic climate is just as tough. Tsitsi Dangarembga from Zimbabwe in her interview with BBC News (BBC News, 2005) gave reasons for fewer women in position. Some include the fear of victimization from fellow women and men stemming from cultural expectation, lack of unity among women themselves, undue competition for resources and less time available for organization because of multiple roles. Excellence is therefore sacrificed for cultural acceptable standard of being a good marriage material-meek and submissive. While there is absolutely nothing wrong with being the good wife, there should be ‘free passes’ for young African women who aspire to excel in the face of the ordinary. In this regard, there comes the need for continuous reorientation of the older generation, provision of networking and mentoring platforms to strengthen self-image and worth towards nurturing future leaders. This is not in view to eradicate our identity as African Women on the platform of civilization but taking advantage of human resources in our society. This I dare to say. 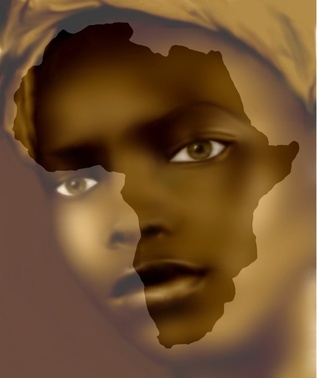 To be successful as an African Woman; you would have to be two men combined. Don’t look so sad….it will get better. :-D. Thanks for reading.